Whether you are a high school student that has a lot of pivotal events in the next couple of years or you are an adult that needs a discreet option for straightening your smile, there is a clear, virtually invisible option – Invisalign® and Invisalign Teen®. You secretly use sets of clear, plastic trays that align your teeth while you work, learn, play, and sleep. Since the trays are removable, you don’t have to abide by the dietary limitations associated with standard metal braces. You don’t have to worry about cutting apples into wedges, cooking raw carrots until they are soft, or eliminating any of your favorite foods from your diet. NO SPECIAL BRUSHING TOOLS NEEDED WITH INVISALIGN®! With traditional metal braces, you need to use an interdental toothbrush to get between brackets and under wires. You also have to use a floss thread tool to get the floss under the wire so you can floss between your teeth. 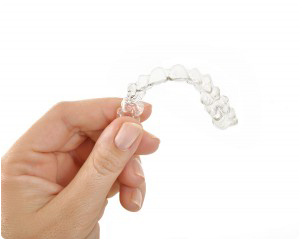 With Invisalign® you simply remove the trays and brush your teeth and gums the way you always have. Additionally, there is no special tool needed for flossing! The only thing you will need to do differently is to brush your trays every time you brush your teeth! Whether you have various big events coming up (wedding, graduation, or prom) or you often speak publicly or in front of a camera, you will want to keep your treatment behind the scenes. 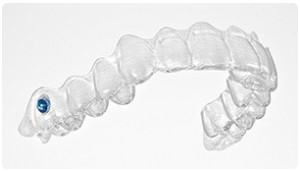 Invisalign® uses clear aligner trays, so you never have to hide your smile! Wear each set of aligners 20-22 hours per day, and after two weeks, it’s time for a new set of trays! With Invisalign®, you swap out the trays yourself, and as a result, you will need fewer adjustment appointments! You get to spend less time at your orthodontics office located in either Asheville, Marion or Rutherfordton, NC, and more time doing the things you love! TS Orthodontics of Asheville, Marion and Rutherfordton, NC and Invisalign® know teens have plenty Invisalign Asheville NC to worry about with school work, sports, and big projects. Keeping track of when to change your Invisalign Teen® aligner trays doesn’t have to be added to that ever-growing list! Each tray is equipped with an easy-to-see blue dot that fades to clear when worn for the recommended 20-22 hours per day. When your blue dot has faded to clear, it’s time to use your new set of trays!